Mamata Didi in battle mode. West Bengal Chief Minister Mamata Banerjee hit out at Prime Minister Narendra Modi calling him "the master of corruption" and said that she supported the views of the Congress on the Rafale deal. She described Rafale deal as one of the biggest scam of the country. "I do not know how much money changed hands or what had happened, but certainly there must be something behind the curtain. Rafale deal is a big scam and I support the Congress' views on it," Banerjee told a press conference. Calling Modi as "Mr Maddy", Banerjee claimed that the country has not witnessed such a corrupt prime minister in its history. "The less we talk about this man (the prime minister) the better. Mr Maddy is the master of corruption. He is the master of arrogance and a shame for the country. I have no words to describe him. His standard is so low that we have never expected such a man to be the prime minister. We have respect for the chair but not for this man," she said. 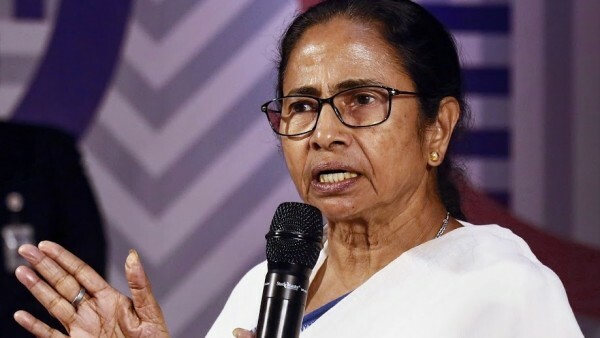 West Bengal Chief Minister Mamata Banerjee on Friday accused Prime Minister Narendra Modi of doing politics by inaugurating projects “hurriedly” ahead of the elections after the PM inaugurated a circuit bench of the Calcutta High Court in north Bengal. “About a few months back, the then Chief Justice of Calcutta High Court fixed a date to inaugurate the bench. The Chief Justice and I were supposed to be present at the inauguration ceremony but a notification required to commence court work was not issued by the Centre,” Banerjee said. “They hired a band party to beat their own election drum. This is unfortunate. Without manpower, how will it function? What does he think of himself? That he is the big boss of this country and whatever he wants, he can do? Does he think that all are fools and only he is the clever person? He wants to do everything hurriedly now ahead of the elections,” Banerjee alleged. Modi on Friday laid the foundation stone for a four-lane section of National Highway 31 D between Falakata and Salsalabari in Alipurduar district under the ‘BharatmalaPariyojana’.